Why the Universe is extremely overrated. A few weeks I read an article in Physics Today which prompted me to revise and resubmit an old post I cobbled together in response to the BBC television series Wonders of the Universe in which I argued that the title of that programme suggests that the Universe is wonder-ful, or even, in a word which has cropped up in the series a few times, `awesome’. When you think about it the Universe is not really `awesome at all’. In fact it’s extremely overrated. 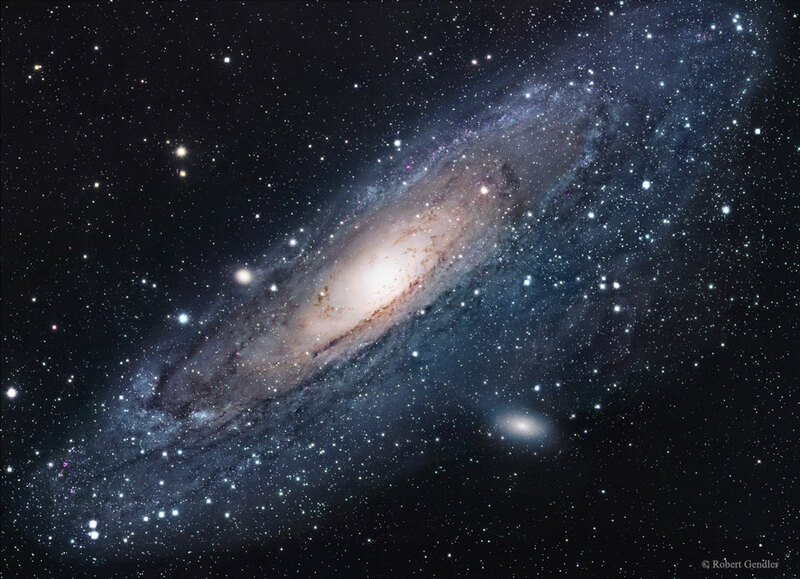 This is an example of a galaxy (the Andromeda Nebula, M31, to be precise). We live in a similar object. Of course it looks quite pretty on the surface but, when you look at it with a physicist’s eye, such a galaxy is really not as great as it’s cracked up to be, as I shall now explain. We live in a relatively crowded part of our galaxy on a small planet orbiting a fairly insignificant star called the Sun. Now you’ve got me started on the Sun. I know it supplies the Earth with all its energy, but it does the job pretty badly, all things considered because the Sun only radiates a fraction of a milliwatt per kilogram. By comparison a human being radiates more than one watt per kilogram. Pound for pound, that’s more than a thousand times as much energy as a star. So, in reality, stars are bloated, wasteful, inefficient and not even slightly awesome. They’re only noticeable because they’re big. And we all know that size shouldn’t really matter. In short, stars are extremely overrated. But even in what purports to be an interesting neighbourhood of our Galaxy, the nearest star is 4.5 light years from the Sun. To get that in perspective, imagine the Sun is the size of a golfball. On the same scale, where is the nearest star? The answer to that will probably surprise you, as it does my students when I give this example in lectures. The answer is, in fact, on the order of a thousand kilometres away. That’s the distance from Cardiff to, say, Munich. What a dull landscape our Galaxy possesses. In between one little golf ball in Wales and another one in Germany there’s nothing of any interest at all, just a featureless incomprehensible void not worthy of the most perfunctory second thought. So galaxies aren’t dazzlingly beautiful jewels of the heavens. They’re flimsy, insubstantial things more like the cheap tat you can find on QVC. What’s worse is that they’re also full of a grubby mixture of soot and dust. Indeed, some are so filthy that you can hardly see any stars at all. Somebody needs to give the Universe a good clean. I suppose you just can’t get the help these days. Star formation is stupendously inefficient. Take the Milky Way. Our galaxy contains about a billion solar masses of fresh gas available to form stars—and yet it produces only one solar mass of new stars a year. Hopeless! What a waste of space a galaxy is! As well as being oversized, vacuous and rather dirty, one is also pretty useless at making the very things it is supposed to be good at! What galaxies clearly need is some sort of a productivity drive or perhaps a complete redesign using more efficient technology. So stars are overrated and galaxies are overrated, but surely the Universe as a whole is impressive? No. Think about the Big Bang. Well, I don’t need to go on about that because I’ve already posted about it. Suffice to say that the Big Bang wasn’t anywhere near as Big as you’ve been led to believe: the volume was between about 115 and 120 decibels. Quite loud, to be sure, but many rock concerts are louder. To be honest it’s a bit of an anti-climax. If I’d been in charge (and given sufficient funding) I would have put on something much more spectacular. In any case the Big Bang happened a very long time ago. Since then the Universe has been expanding, the space between galaxies getting emptier and emptier so there’s now less than one atom per cubic metre, and cooling down to the point where its temperature is lower than three degrees above absolute zero. The Universe is a cold, desolate and very empty place, lit by a few feeble stars and warmed only by the fading glow of the heat left over from when it was all so much younger and more exciting. Here and there amid the cosmic void a few galaxies are dotted about, like cheap and rather tatty ornaments. It’s as if we inhabit a shabby downmarket retirement home, warmed only by the feeble radiation given off by a puny electric fire as we occupy ourselves as best we can until Armageddon comes. BRICK: “Well, they say nature hates a vacuum, Big Daddy. So no, the Universe isn’t wonderful. Not at all. In fact, it’s basically a bit rubbish. Again, it’s only superficially impressive because it’s quite large, and it doesn’t do to be impressed by things just because they are large. That would be vulgar. Ultimately, however, the fact is that whatever we think about the Universe and how badly constructed it it, we’re stuck with it. Just like the trains, the government and the weather. There’s nothing we can do about it, so we might as grin and bear it. It’s being so cheerful that helps keep me going. Here’s a nice one for the cute problems folder. Two spherically symmetric stars A and B of equal mass M and radius r have centres separated by a distance 6r. Ignoring any effects due to the orbital motion of the stars, determine a formula (in terms of G, M and r) for the minimum velocity with which material can be ejected from the surface of A so as to be captured by B. Answers through the comments box please. First correct answer receives 7 points. No time for a proper post so I thought I’d fill a bit of space with Stars, or at least with a picture of the lithograph of that title by Wassily Kandinsky made, I think, in 1938. It is certainly a different kind of image from that produced by astronomers, but it does put me in mind of star-forming regions such as the Orion Nebula.. The final episode of the BBC television series Wonders of the Universe was broadcast this weekend. Apparently it’s been incredibly popular, winning huge plaudits for its presenter Brian Cox, and perhaps inspiring the next generation of budding cosmologists the way Carl Sagan did thirty-odd years ago with his series Cosmos. 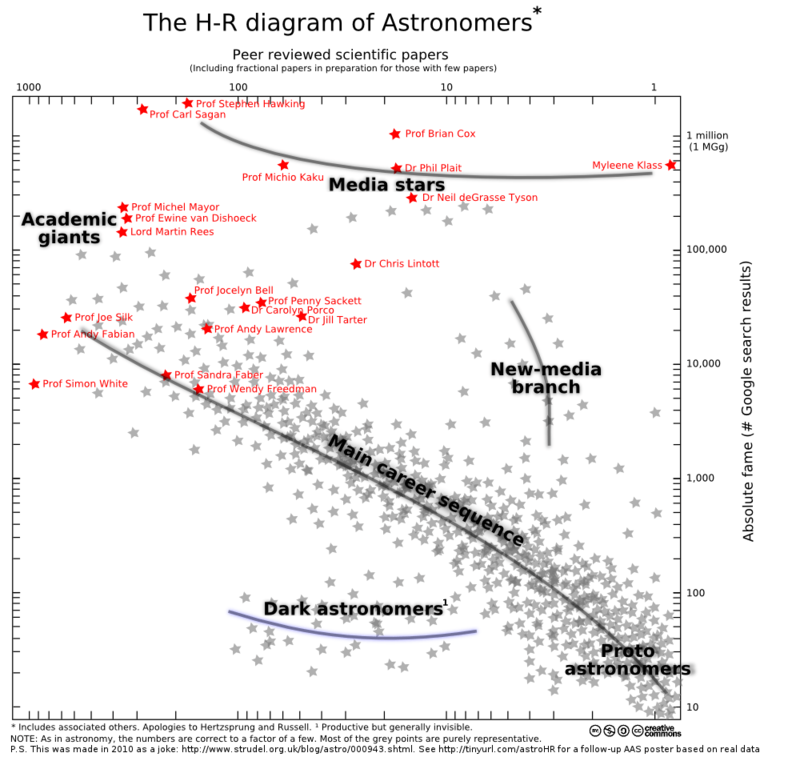 Grumpy old cosmologists (i.e. people like myself) who have watched it are a bit baffled by the peculiar choices of location – seemingly chosen simply in order to be expensive, without any relevance to the topic being discussed – the intrusive (and rather ghastly) music, and the personality cult generated by the constant focus on the dreamy-eyed presenter. But of course the series wasn’t made for people like us, so we’ve got no right to complain. If he does a great job getting the younger generation interested in science, then that’s enough for me. I can always watch Miss Marple on the other side instead. But walking into work this morning I suddenly realised the real reason why I don’t really like Wonders of the Universe. It’s got nothing to do with the things I mentioned above. It’s because it’s just not British enough. I’m not saying that Brian Cox isn’t British. Obviously he is. Although I do quibble with him being labelled as a “northerner”. Actually, he’s from Manchester. The North is in fact that part of England that extends southwards from the Scottish border to the Tyne. The Midlands start with Gateshead and include Yorkshire, Manchester and Liverpool and all those places whose inhabitants wish they were from the North, but aren’t really hard enough. Anyway, I just put that bit in to inform non-British readers of this blog about the facts of UK geography. It’s not really relevant to the main point of the piece. The problem with Wonders of the Universe is betrayed by its title. The word “wonders” suggests that the Universe is wonder-ful, or even, in a word which has cropped up in the series a few times, “awesome”. No authentic British person, and certainly not one who’s forty-something, would ever use the word “awesome” without being paid a lot of money to do so. It just doesn’t ring true. I reckon it doesn’t do to be too impressed by anything on TV these days (especially if its accompanied by awful music), but there is a particularly good reason for not being taken in by all this talk about “Wonders”, and that is that the Universe is basically a load of rubbish. Take this thing, for example. It’s a galaxy (the Andromeda Nebula, M31, to be precise). We live in a similar article, in fact. Of course it looks quite pretty on the surface, but when you look at them with a physicist’s eye galaxies are really not all they’re cracked up to be. We live in a relatively crowded part of our galaxy on a small planet orbiting a fairly insignificant star called the Sun. Now you’ve got me started on the Sun. I know it supplies the Earth with all its energy, but it does so pretty badly, all things considered. The Sun only radiates a fraction of a milliwatt per kilogram. That’s hopeless! Pound for pound, a human being radiates more than a thousand times as much. All in all, stars are drastically overrated: bloated, wasteful, inefficient and not even slightly awesome. They’re only noticeable because they’re big. And we all know that size shouldn’t really matter. The answer to that will probably surprise you, as it does my students when I give this example in lectures. The answer is, in fact, on the order of a thousand kilometres away. That’s the distance from Cardiff to, say, Munich. What a dull landscape our Galaxy possesses. In between one little golf ball in Wales and another one in Germany there’s nothing of any interest at all, just a featureless incomprehensible void not worthy of the most perfunctory second thought; it’s usually called France. And then there’s the Big Bang. Well, I don’t need to go on about that because I’ve already posted about it. Suffice to say that the Big Bang wasn’t anywhere near as Big as you’ve been led to believe. The volume was between about 115 and 120 decibels. Quite loud, but many rock concerts are louder. Very disappointing. If I’d been in charge I would have put on something much more spectacular. In any case the Big Bang happened a very long time ago. The Universe is now a cold and desolate place, lit by a few feeble stars and warmed only by the fading glow of the heat given off when it was all so much younger and more exciting. It’s as if we inhabit a shabby downmarket retirement home, warmed only by the feeble radiation given off by a puny electric fire as we occupy ourselves as best we can until Armageddon comes. No, the Universe isn’t wonderful at all. In fact, it’s basically a bit crummy. It’s only superficially impressive because it’s quite large, and it doesn’t do to be impressed by things just because they are large. That would be vulgar. We British just don’t like showy things. It’s in our genes. We’re fundamentally a rather drab and dowdy race. We don’t really enjoy being astonished either. We prefer things we can find fault with over things that intimidate us with their splendour. We’re much more likely to tut disapprovingly than stare open-mouthed in amazement at something that seems pointlessly ostentatious. If pushed, we might even write a letter of complaint to the Council. Ultimately, however, the fact is that whatever we think about it, we’re stuck with it. Just like the trains, the government and the weather. Nothing we can do about it, so we might as well just soldier on. That’s the British way. So you can rest assured that none of this Wonders of the Universe stuff will distract us for long from getting on with the important things in life, such as watching Coronation Street. Professor Brian Cox is 43.